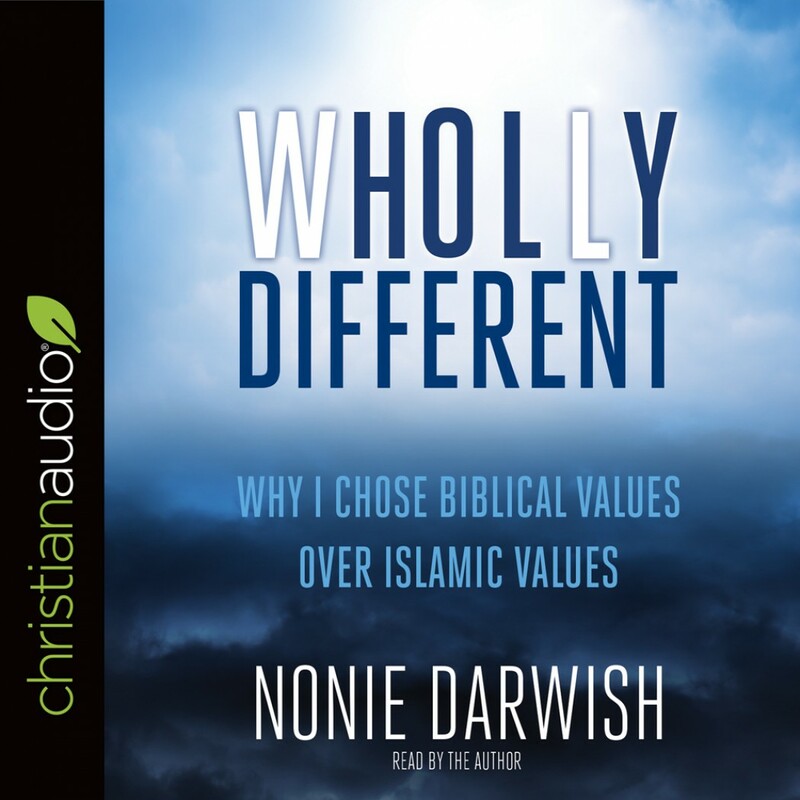 Wholly Different | Nonie Darwish | Audiobook Download - Christian audiobooks. Try us free. Western countries are ignorant of true Islamic values, says Nonie Darwish. Darwish is an Egyptian-American, former-Muslim human rights activist who is frustrated with mainstream America's talk of tolerance and assimilation. In Wholly Different, Darwish sets non-Muslims straight about tenets of Islam that are incompatible with free society. For the first time, Darwish tells the whole story of her personal break with Islam, starting with the brutal physical violence and rigid class system she witnessed and culminating with the spine-tingling visit she received from President Nasser after her father, fedayeen commander Mustafa Hayez, was assassinated by Israeli Defense Forces. She lays out the "seventh-century values" of Islam that religious extremists are so intent on protecting through global warfare—values that set Islam apart from the other Abrahamic religions.